Meet Tenley Tylwyth, an Elemental Teen born with the power to produce weather. Cool? Not really. Elementals make Mother Nature angry. And who can blame her? Humans have been destroying her planet long enough. It's time she got rid of them all together. Tenley, and those like her, are the only things standing in her way--and they don't even know it. It's a Fair One's job to keep Elemental Teens safe. These ancestors of fairies have created a perfect plan to keep kids like Tenley out of harm's way--from afar. But when rookie Fair One, Pennie, allows her charge to use elemental powers once too often, she's forced to travel to Earth--a place where no Fair One wants to go--to save her. Now, Pennie has 48 hours to convince Tenley to stop manipulating the weather. But it won't be so easy. Tenley's got a way with wind and has no plans to stop using it. But then a field trip provides the perfect opportunity for Mother Nature. 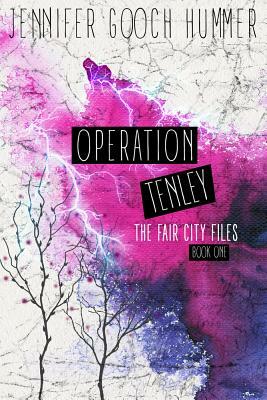 She catapults Tenley deep into her gardens, where trees grow upside down and insects attack on command. For Tenley, things get real, fast. And suddenly, knowing she's got a few Elemental powers up her sleeve might be just what Tenley needs to survive . . . even if it kills her. Jennifer Gooch Hummer has worked as a script analyst for various talent agencies and film studios. She is the author of Girl Unmoored. She lives in Los Angeles.